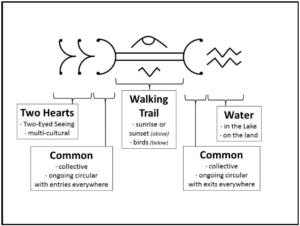 Our vision is to create a walking trail around the Bras d’Or Lake Biosphere utilizing and building upon existing trails, connecting our communities and offering opportunities to explore our beautiful island. 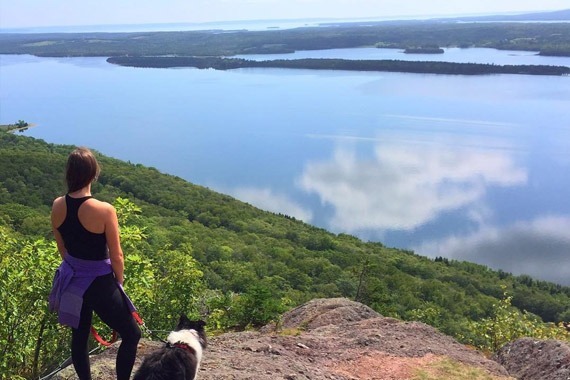 This proposed Trail is not just a pathway; it is a vehicle through which communities surrounding the Lake will join together in thoughtful promotion of their environmental and community assets as they pursue ways to achieve responsible economic development. Connecting existing and proposed walking trails within this vision will lead to rich recreational, educational, social and economic outcomes for the benefit of residents and visitors alike. 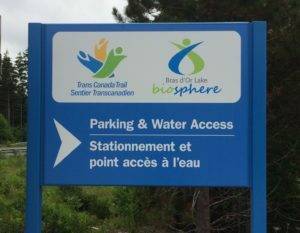 In 2017, the Great Trail (formerly Trans Canada Trail) Bras d’Or Lake Water Route officially opened; this 377.94 km water trail is ideal for paddling. The water route can be accessed from a number of sites around the Bras d’Or! Click here to access our trail brochure. There are a number of trail throughout the Biosphere; some are well known and well used while others are less so. Check out details on specific trails in the Bras d’Or Lake Biosphere by clicking on the name below. K-class roads (pioneer roads) – not maintained and not signed – no amenities!